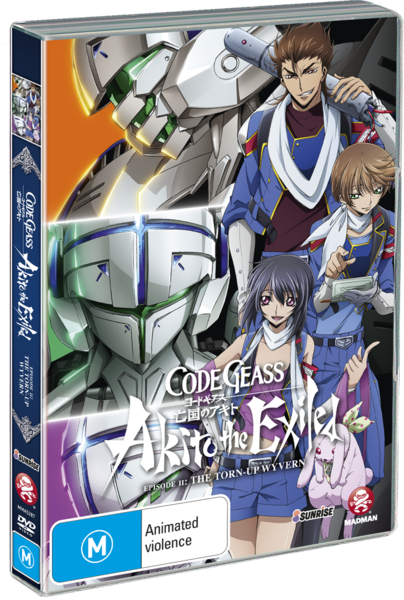 "Code Geass: Akito the Exiled Episode Two - The Torn-Up Wyvern" is the second part (obviously) of this animated sci-fi war series. 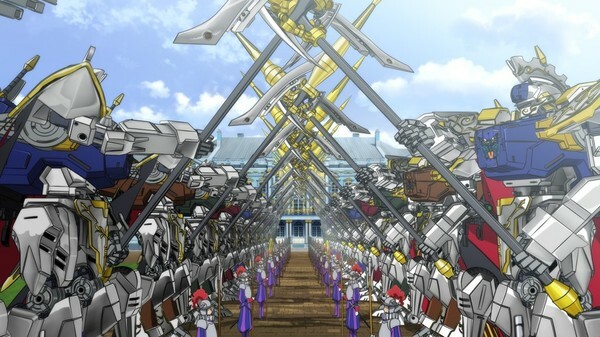 After beating a group of terrorists (seen in Episode One) the EU Army (United Republic of Europia) end recruiting them to help them fight the war against the Holy Britannian Empire. The EU Army also finds a way to use them for their own selfish ways as they end up putting them on a suicide mission. The reason why is because that they are Japanese and they won't be missed by anyone if they get killed in action as the time and universe this show is sent in treats Japanese people like crap (so it is sort of a satire on how Germany disliked people that were Jewish but not as graphic or brutal... Thank goodness). One member of the EU Army isn't too happy about that and insists that she goes with them to help give them a chance of surviving as she doesn't want anybody used as a pawn. The group of former terrorists hear of this plan and try to escape the army but they calm after a meeting saying that they ensure that they will be safe on this mission. Shortly after they prepare for what could be their final fight. Will they survive? I guess you'll find out when the review for "Episode Three" comes out (or you could just watch this episode) but anyway let's get back to talking about "Episode Two". (Click "Read More" to read the full review). The story in this episode was pretty simple to where what is said in the description is pretty much the whole episode (minus some other things that I purposely didn't mention). It was executed really well and you will get a satisfying hour of entertainment. The drama has been cut down a lot in this one and you get a lot of action in this episode instead. The action in this one was very good and quite exciting with some very well choreographed fighting. Not only do you get excited but you'll also feel a little terrified as well as the power of these fighters can be quite frightening. Characters in this episode were alright but you really didn't get time in this film for much character development. From what character development you do get though was quite satisfying and they do tell you a lot about the character in the short time they have. 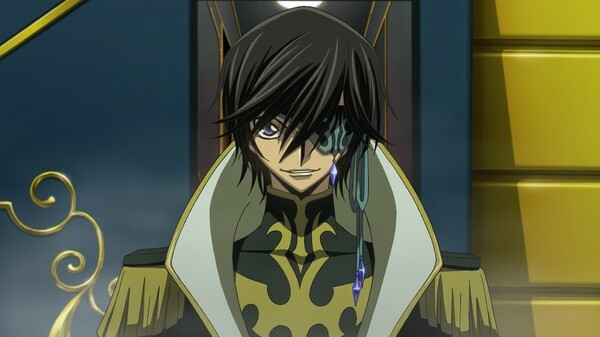 I liked the villains in this one as they had a nice insane personality that added a layer of charm to them. One warning I must give you all, this is not a show that you can jump in at any time and you must start watching this series from episode one but it won't take long to catch-up as the episodes are only an hour long. This is also a downside as you only get one episode per disc. Artwork in this show looked really good with nice strong coloring and nicely detailed backgrounds. Character designs are decent although not the most memorable designs of all time but they look good nonetheless. There are some cheap shots of fan service like when the female characters bend over or when they are getting dressed (I'm not complaining as it looked nice and not overdone). 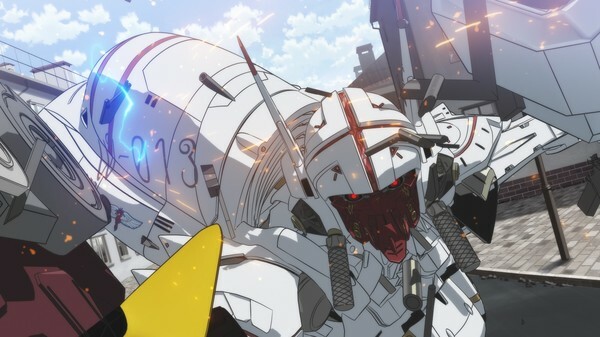 The mecha designs in this show looked very cool with some very awesome looking weapons. I don't understand why all of EU Army's robots have huge breasts though but hey it's anime. Animation in this episode was alright but nothing special however during the scenes where 3D animation was used looked very choppy and I have no idea why anime doesn't fix that with the only exception that the only reason why is from pressure of getting the scene done on time (but I don't know that for sure). For those who exclusively watch English dubbed anime you might want to avoid this one as this show is Japanese dub with English subtitles only. The Japanese dub on this one was quite decent with voices that matched up with the characters well. The acting though could've been a bit better as it did get a bit weak at times. The soundtrack in this episode was decent with a mixture of chaotic symphonic pop with jazzy jazz music that will remind you of "Cowboy Bebop (1998)"... So it is no different than the prior episode. The special features section has a whole bunch of trailers promoting this episode. There is a big range of them too including: Teaser trailers, full trailers, promotional videos, and television advertisements that aired on Japanese televisions. They aren't bad but once you've watched them you won't be watching them again. Overall this wasn't a bad follow-up to Episode One and was worth your time. I am looking forward to see what Episode Three has to offer. Good watch.